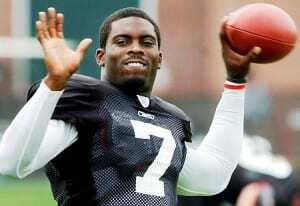 Back story: For those of you who don’t watch NFL football games or are not lovers of “man’s best friend” the name Michael Vick may mean nothing to you. He is, for the rest of us, that Quarterback who had it all with the Atlanta Falcons and then lost it all because he was breeding pit bulldogs for black market dog fights. In an instant his NFL career was put on hold, he lost somewhere in the neighborhood of $60,000,000.00 in endorsement deals and jail soon was a reality to him. Atlanta’s immediate termination of him was an immediate no-brainer. 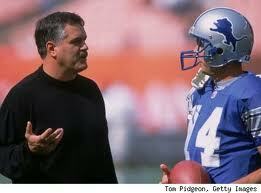 Let’s talk about another slightly less known, yet even more impactful employee in the NFL, Matt Millen. He was a successful linebacker who became a not-so-successful GM / President for the Detroit Lions and worked for that organization for 8 years. During his tenure he had 8 opportunities to draft a top performer in the first round of the NFL draft, he got 1. He put together a record of 31 wins and 97 losses, the worst in the modern era of the NFL; not just the Detroit Lions, we’re talking ALL of the NFL. It took Detroit 8 years to fire him. I bring these two NFL examples up because of an experience I just had working with a Fortune 500 company. They were assessing a team of 8 people who were integral to the success of somewhere in the neighborhood of 2000 consultants. One person had been in her role for 12 years and had been on 4 PIP’s (Performance Improvement Plans), which is essentially the last step before firing someone. On average, she had taken her managers to the brink of firing her once every 3 years and she was still employed. Since bringing this information to the attention of leadership, she has subsequently “resigned” from the company, but at what cost? In her tenure she had upset Partners in the firm, cost the company tens, even hundreds of thousands of dollars on mistakes, and she had placed the credibility of her team of 8 in question by leadership. Companies are great at taking action on the “Mike Vicks” in their company: people who lie, steal, make gigantic blunders, etc. ; however, companies are historically slow at tackling the “Matt Millens” on their team. Do you want your company to be the best, then identify the “Matt Millens” on your team and weed them out immediately, not after 4 PIPs. You know who they are, take action. ← What do you think of my resume?